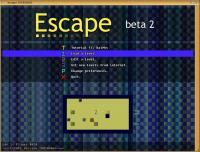 Escape is a tile-based puzzle game in the style of "Adventures of Lolo"
devices in order to reach the exit. and facilities for automatically sharing puzzles with other players. To install just click on the "Install_Escape"-icon.